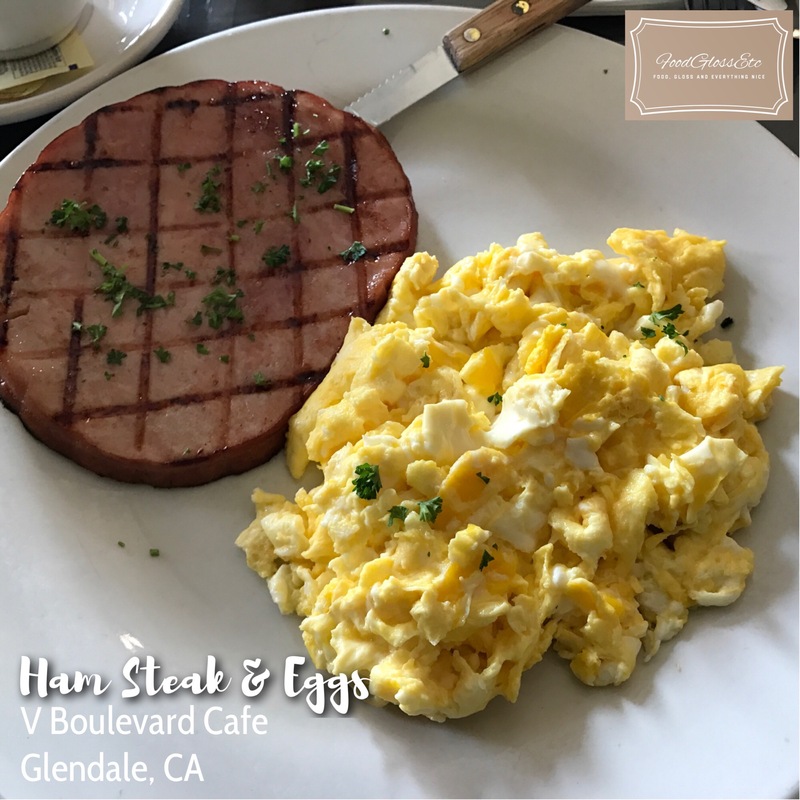 I had a super early Saturday morning doctor’s appointment in Eagle Rock and we were searching for a good breakfast place on Yelp. That search led us to V Boulevard Cafe. It’s not a very big place and the patio consisted of about a couple of tables. The interior was bright and airy though. 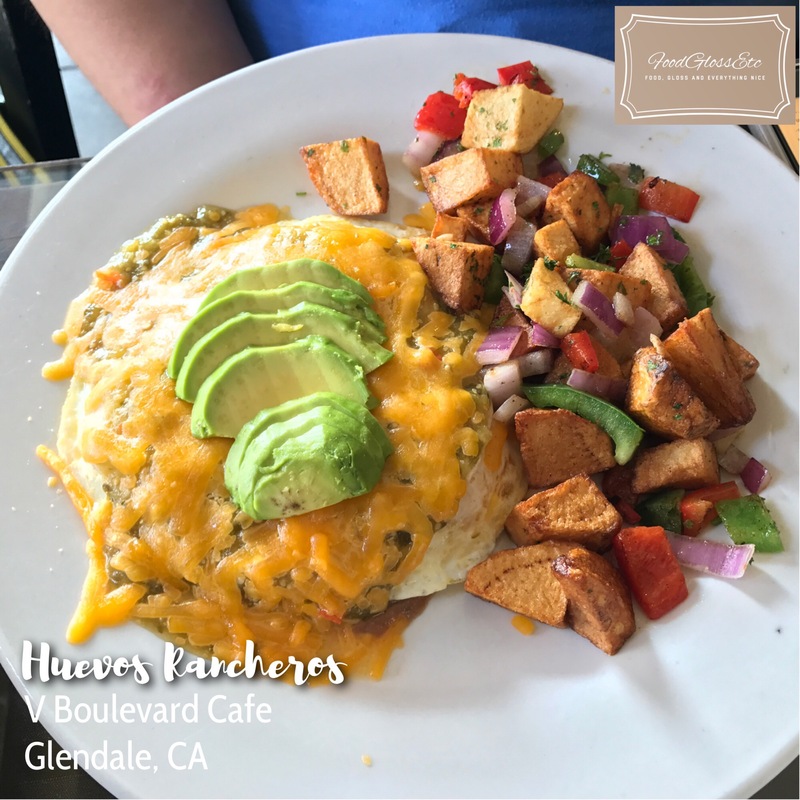 Huevos Rancheros ($9.95) 2 eggs any style over refried beans and corn tortillas, topped with ranchero sauce, avocado and cheddar cheese. My daughter had this and she said it’s decent. Ham Steak & Eggs ($11.95) grilled ham steak with 3 eggs any style. I had the eggs scrambled and it looked perfect, except the ham was sooo salty. It might just be me. Otherwise, it was juicy and I would order it again but will ask for no added salt. 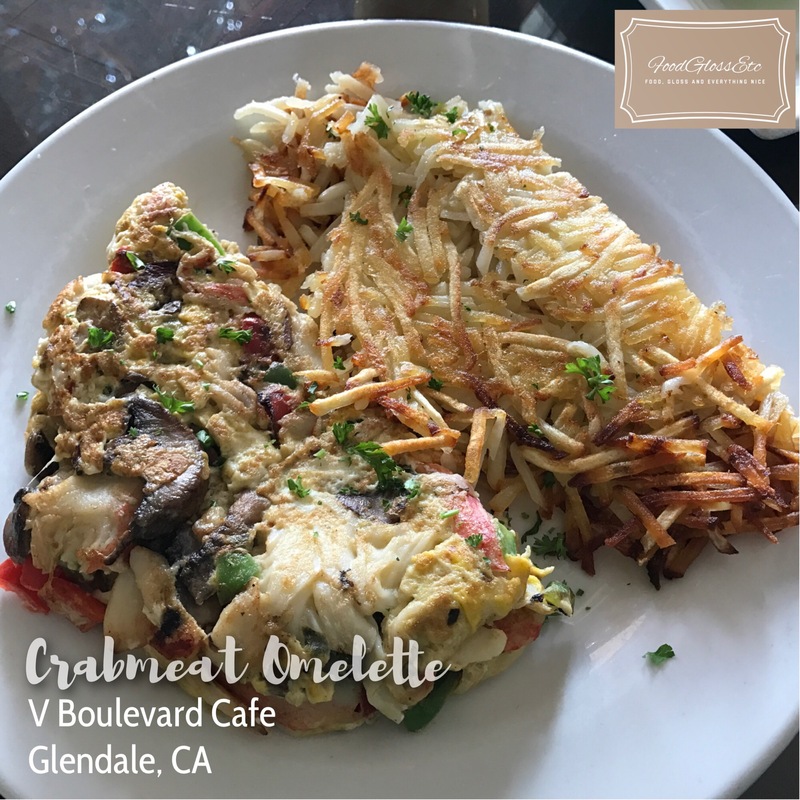 Crabmeat Omelette ($9.75) crabmeat, green peppers, avocado (we asked it to substituted with mushroom). This was my son’s. He’s a little picky but liked it. It’s big enough to share especially with the hash browns and toast.